MP/F/T - Global International B.V.
For downloads see our downloads page for the MP/A, MP/F/T and BR/A series. MP/F/T – Special rectangular ironing table for curtains. 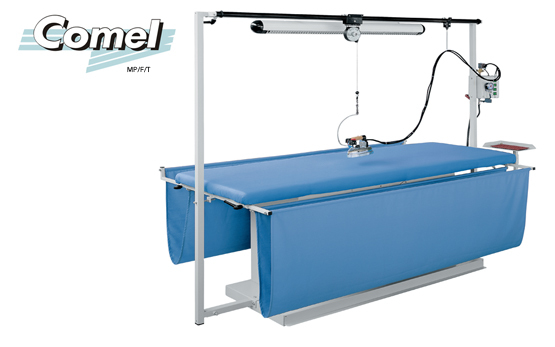 Electric heated and vacuum surface 300 x 75 cm. Built in boiler 380 V, equipped with fluorescent tube light, iron support trolley, including iron.